Ballito is one of the Kwa-Zulu Natal’s coastline’s most popular vacation towns, and is a favourite amongst South African families as well as many visitors from abroad. Just 47 km from Durban, Ballito is a well-known beach retreat with a balmy sub-tropical climate and stretches of beautiful beaches. 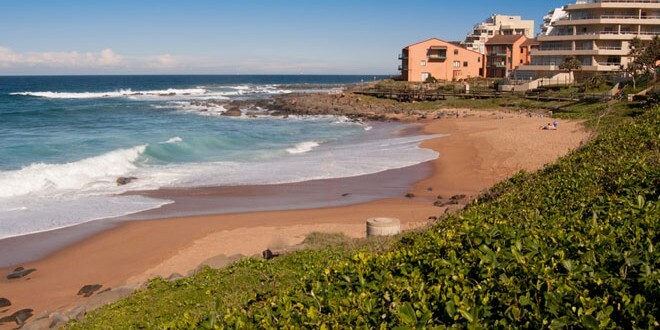 While the order of the day in Ballito is, most often, relaxing on the warm sands, taking dips in the warm Indian Ocean or playing with family and friends on the beach, there are other things to do and see. This charming market is all about showcasing local produce of a fabulous quality and huge variety. The market is warm and inviting, and visitors are sure to make a few friends along the way. Goods range from fresh flowers, organic vegetables, German baked goods, art, jewellery, clothing, artisanal breads and delicious coffees. Browse the farm stalls under the warm KwaZulu Natal sunshine, amidst an old litchi orchard, while stocking up on unique and tasty treats. The market is open on the first and third Saturday of each month, between 09h00 and 13h00. Willard Beach and Clarke Bay are the both alluring retreats for locals and international visitors alike. There are a number of walking opportunities along the beach or on the promenade. Although the water is delightfully warm for most of year, winter can become a little chilly and a wetsuit is recommended. The promenade stretches for four kilometres (from Salmon Bay to Willard Beach) and is the perfect spot for dog-walkers (bring bags along to keep the promenade clean), runners and those just wanting to stroll in peace. When beach bums are able to tear themselves away from the beaches of Ballito, there are three major malls in which to get lost in a wonderland of retail therapy. These malls are the Lifestyle Centre, Ballito Junction and Ballito Bay Mall. In addition to some of the regular supermarkets and large fashion chains, there are also department stores, restaurants, boutique shops and speciality outlets that will keep shopaholics happy for days. Soar over the Dolphin Coast on this 1.5 kilometre Parazip across the gorgeous Sampoya River. This is safe but very exciting, providing unique views and excellent photo opportunities for adrenalin junkies and those wanting to infuse their time in Ballito with plenty of excitement. It is ideal for families, even those with fairly young children. Of course, this little beach town has even more to offer in the way of things to see and do. Visitors are spoilt for choice and will surely take back some fabulous photographs and memories of their time here.